Dustin Jack is a Los Angeles based photographer/artist with a wide range of specialties. 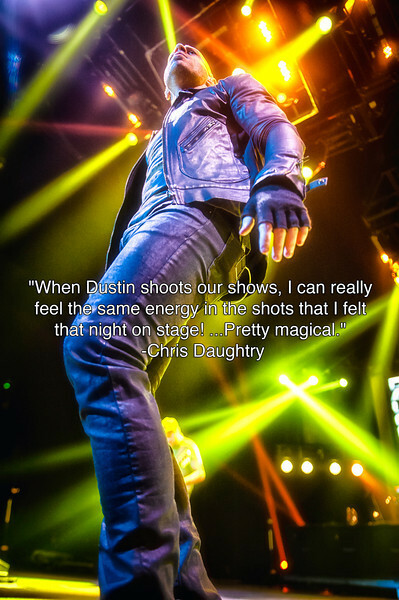 With over 25 years experience, Dustin has developed a unique style and vision. Some areas of notable excellence include concert, sports, portraiture, fine art, landscape and studio photography. Dustin is also an accomplished graphic artist with expertise in branding, advertising, design and layout. 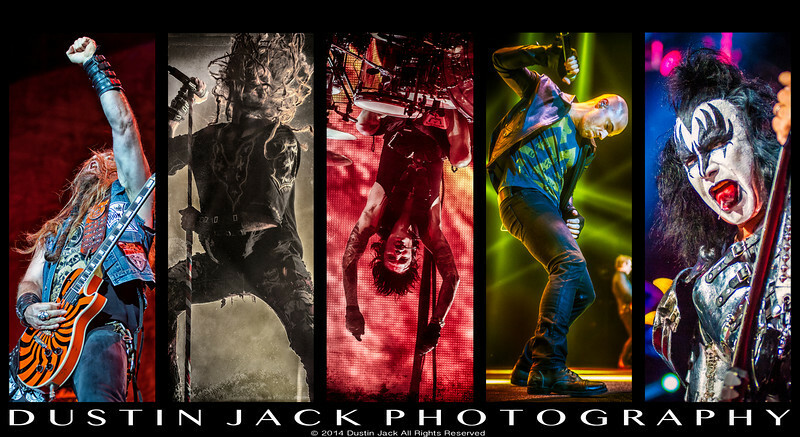 He is a 2013 Photoshop Guru Award winner, and an award winning concert photographer. 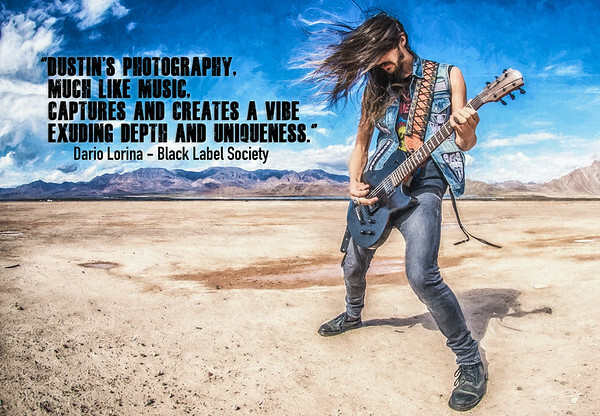 "My photography career started when I was a sophomore in High School. With not much money growing up I am mostly self taught, I built a darkroom in my bathroom and read every photo book I could get my hands on. My first pro photo job was for a vintage movie poster restoration company when I was 20. I moved to Los Angeles in 1994 with no real plan, and only a dream. I lived in Hollywood for two days when I landed a job at Butterfield and Butterfield auction house. For the next 7 years I spent thousands of hours in the darkroom and became very well versed in 4x5 large format photography. Every day was an adventure. On any given day I might shoot the Ruby Slippers from The Wizard of OZ, The Batmobile, a Rembrandt, A Warhol, The Titanic dinner menu and an Elvis' Jumpsuit. 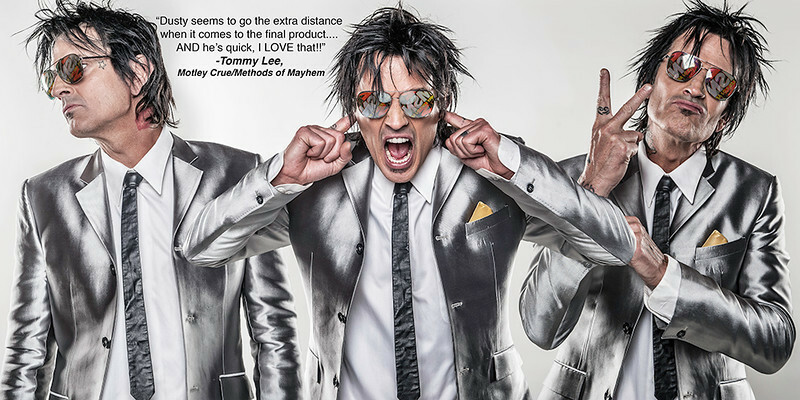 I feel it was these years of diverse studio work that have helped me to be a very well rounded photographer. 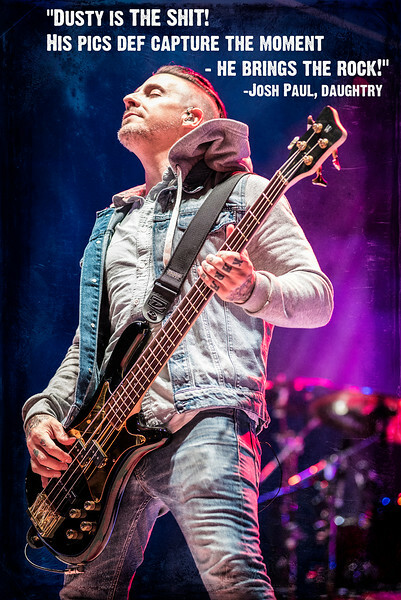 I attribute my live and band photographic style to being a musician, specifically a drummer and being able to find the rhythm of an artist or band. 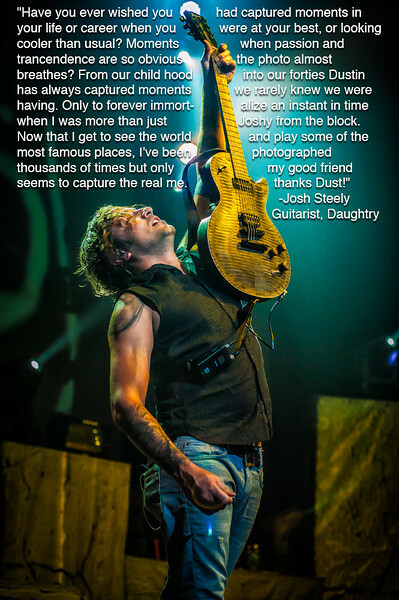 I enjoy all subject matter and the challenges they might present…"
Today, Dustin is responsible for all guitar studio and reference photography for Fretted Americana Inc. accumulating an astounding 150,000 images of the most sought after vintage guitars in the world. 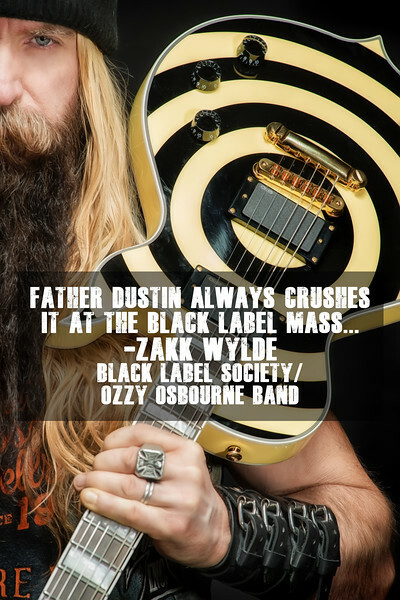 Dustin designs and is responsible for all advertising and imaging for the company including logos, magazine ads, web site images, business cards, banners, posters and T-shirt designs. 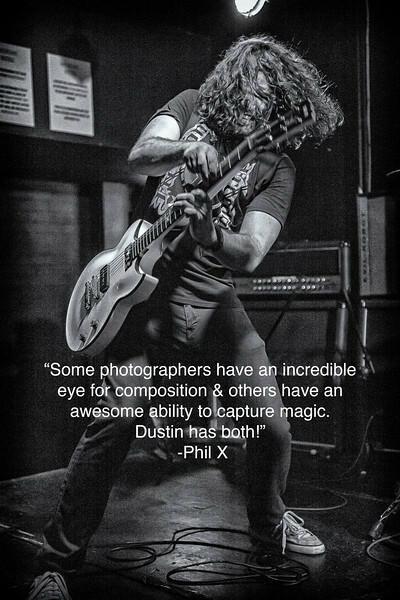 As a director and editor, Dustin has produced over 300 episodes of the Fretted Americana Inc. PHIL X Show, which at this time, has over 40 Million views on You Tube and led to the host being hire to be the new guitarist in Bon Jovi replacing Ritchie Sambora. 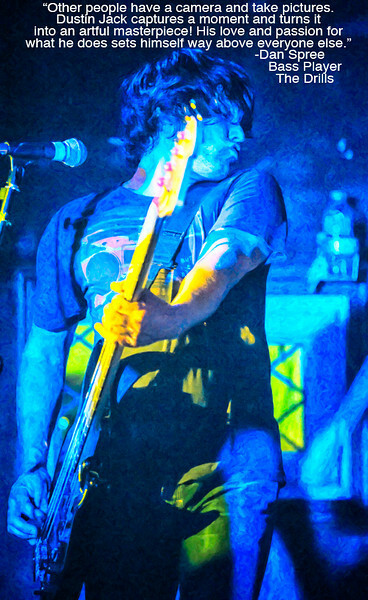 Dustin’s body of work continues to grow as he works for Fretted Americana Inc. and David Brass Rare Books. 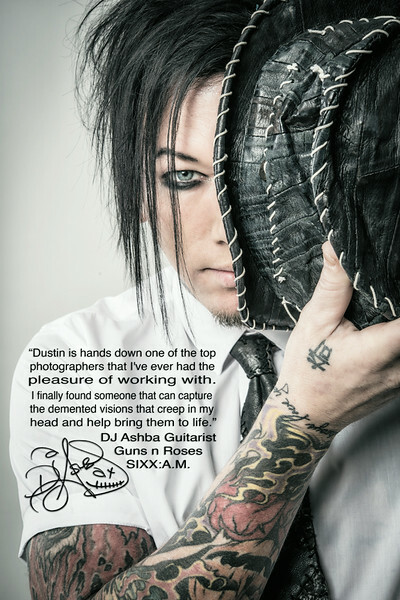 Dustin's personal works in fine art and concert photography has been in high demand for the last several years, most recently photographing and designing the SIXX:AM Double records as well as The Final show ever of MOTLEY CRUE. 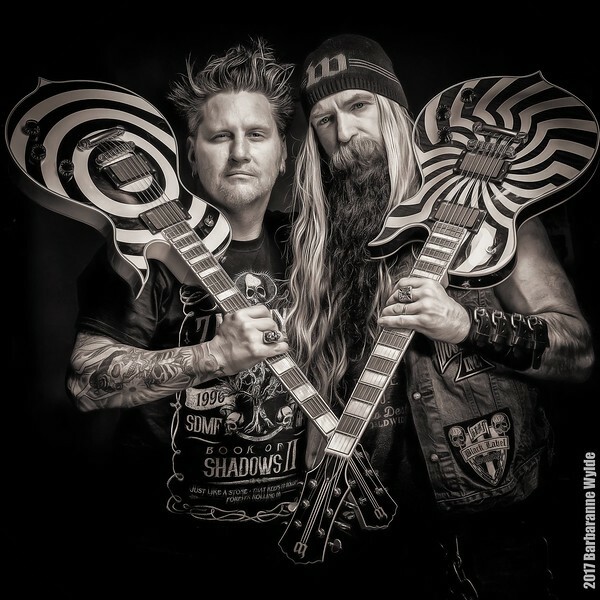 Some of the notable bands and musicians Dustin has worked with and photographed include Zakk Wylde, DJ Ashba, Motley Crue, Sixx:AM, Nikki Sixx, Lita Ford, Tommy Lee, DAUGHTRY, KISS, 5 Finger Death Punch, Black Label Society, Shinedown, Phil X and The DRILLS, Rob Zombie, George Thorogood and the Destroyers, Alter Bridge, Slash, Tremonti, Tiger Army, Guns n Roses, No Doubt, The Beastie Boys, TESLA and many others. 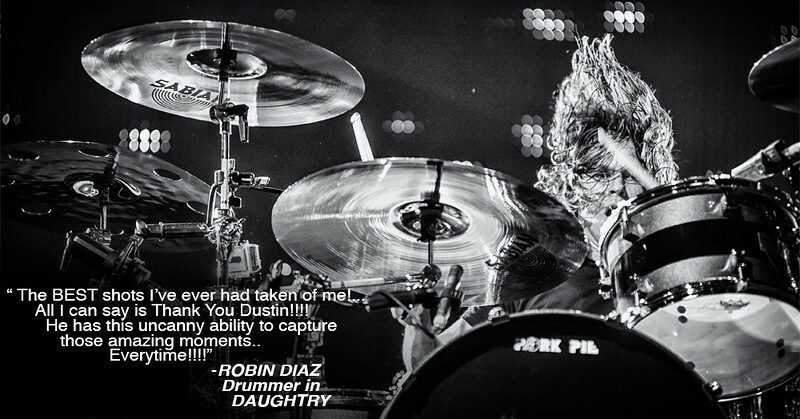 Dustin’s work has been published in Rolling Stone, BURRN, SABIAN, BASS Player, Modern Drummer, Guitarist, Vintage Guitar and other music related magazines. Works have been Featured on many magazine covers and artist related product and has been featured in many band/artists boxed set packages.